The presentation of the award followed a morning discussion about America’s role on the global stage among panelists Michèle Flournoy ’83, David Ignatius ’72, Harvard Kennedy School faculty member Meghan O’Sullivan, and Anne-Marie Slaughter, J.D. ’85, that was moderated by Nicholas Burns, Goodman Family professor of the practice of international relations. After Cohen’s introduction, former U.S. Secretary of State Madeleine Albright, LL.D. ’97, who received the Radcliffe Medal in 2001, delivered her own reflections on Clinton. She recalled their traveling the world together while she was Secretary of State and Clinton was First Lady, and Clinton’s lifelong role in expanding opportunities for women—the theme that echoed across the comments of all of the day’s speakers. “I didn’t ever think I was going to be Secretary of State because how could a woman possibly be Secretary of State?” Albright said. “And I now know that I would not have been Secretary of State if it hadn’t been for Hillary. And the reason I know that is because Bill Clinton said so, publicly”—prompting laugher from the audience. I met with a large group of the students who had led the Tahrir Square demonstrations, and I asked them, “So, what is next for you?” And they looked at me like, “What a ridiculous question—we’ve done what we came to do. We got rid of Mubarak.” And I said, “What do you think happens next?’” And they said, “We’re going to have a democracy. We’re going to move quickly into a better future.” I said, “Are any of you planning to run for office in this new democracy?” (No.) “Are any of you planning to start political parties to compete?” (No.) “So you’ve built up all this social capital driven by social media, but you’re not ready to take the next step. There are only two organized groups other than the Mubarak regime: the Muslim Brotherhood and the army. So if you don’t help to fill the void, it’s going to be a contest between the Muslim Brotherhood and the army.” And—indeed—that’s what happened. 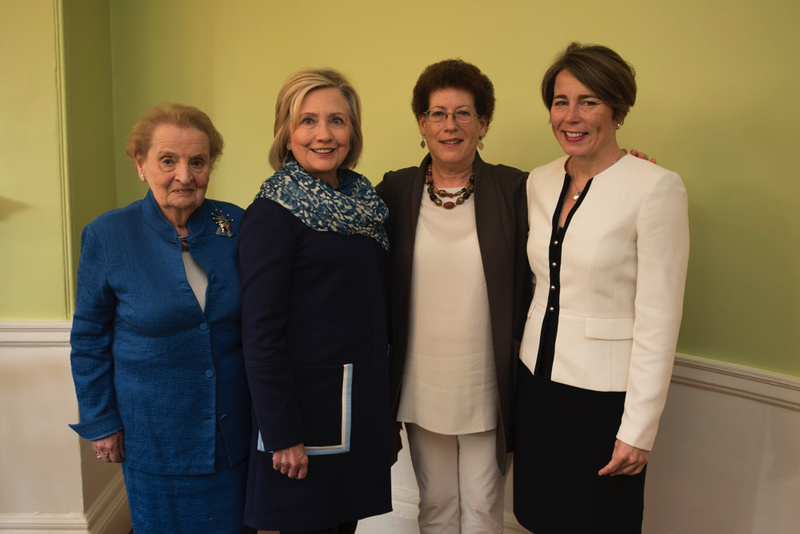 Near the end of the discussion, Healey asked Clinton to offer advice on raising strong daughters. The medalist answered a somewhat different question: “Reading, talking, singing to your child, building their brain cells—there’s a lot of very practical advice. But I want to just mention one area that I feel really strongly about. We need to develop empathy and kindness in our children—for themselves and for others.” She recalled, as a child, getting an opportunity through her church to babysit the children of migrant workers: “They were Mexican farm workers who were moving north with the harvest, and a group of us girls would go out to their camp and watch the little kids so the mothers and fathers and older brothers and sisters could go out and work on Saturday. At that very young age, I got to experience what to me seemed like a total revelation…When their parents would pull up at the end of an old dusty road on an old, beat-up bus, coming back from the fields, no matter what game we were playing or how we were entertaining the kids, they would break loose and run as fast as they could into the arms of their parents.” This type of “radical empathy,” she suggested, must provide the underpinning of a diverse, cohesive political union.